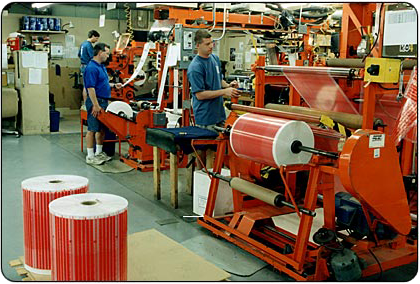 For our customers that require custom printed poly bags, Hudson Poly Bag maintains 200 cylinders and D-mounts for our flexo-graphic poly printing presses. 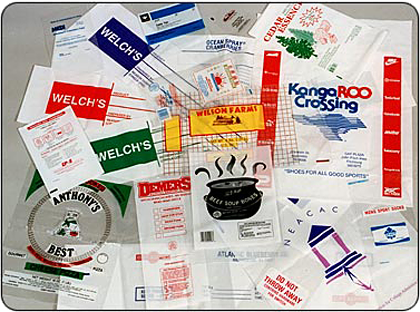 As you probably know, flexo-graphic printing offers the best combination of quality and low cost for printing short to medium runs of roll stock for manufacturing poly bags or poly tubing. Our press department is a key ingredient in our ability to deliver on time, on spec and on price. We simply do what we say that we will do. Our printing presses are rigidly maintained to insure peak performance at all times. We offer up to 4 color capability in a large range of stock or custom PMS colors. We will help you through the initial artwork design and development all the way through to the creation of printing plates. Prototype work is a specialty of ours. 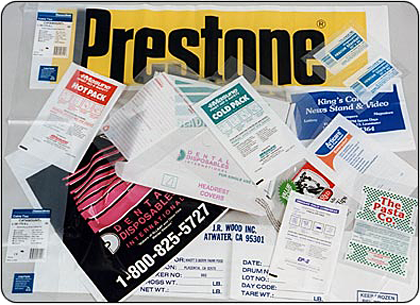 To give you an idea of our quality and range of printing capabilities, scroll down to see some examples of our custom printed poly bags.